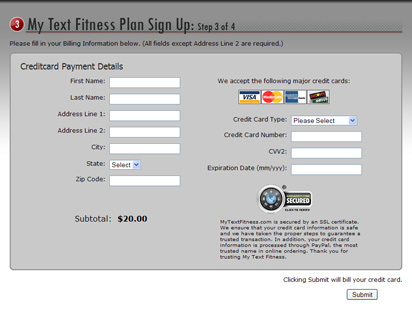 The owner of this new ﬁtness business concept needed a easy to use website that allowed for adding content on a daily basis. 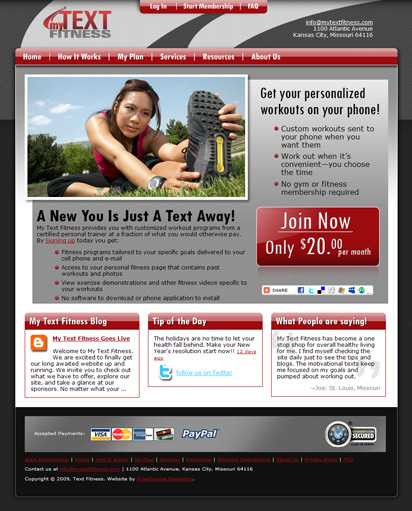 This sporty looking website provides an easy to follow layout that directs potential customers to purchase membership and to get in shape. The integration of a blog and Twitter allows for the daily updating of content. An easy to use sign-up process and member pages with a forum were designed to complete an enjoyable and encouraging customer experience. An administration system was designed with the same attention to detail and ease of use. 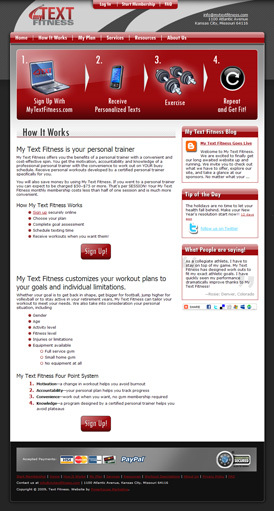 Trainers use the Admin pages to send personal workouts and to interact with members.